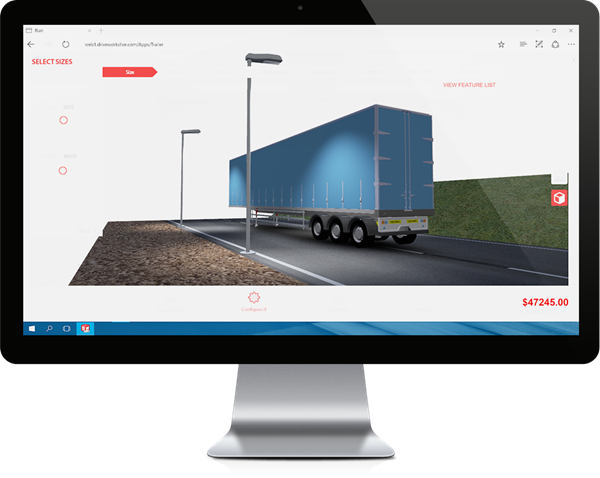 In DriveWorks 16 we’ve built on our extensive Design Automation capabilities, greatly enhanced our 3D capabilities and made sure DriveWorks is positioned as a powerful configurator and CPQ solution company-wide for manufacturing companies. This release focuses on enhancements to stability and performance, scalability and usability alongside new features. Many of the enhancements in DriveWorks 16 have come from customer suggestions. Thank you to everyone that has submitted requests & suggestions to suggest@driveworks.co.uk. 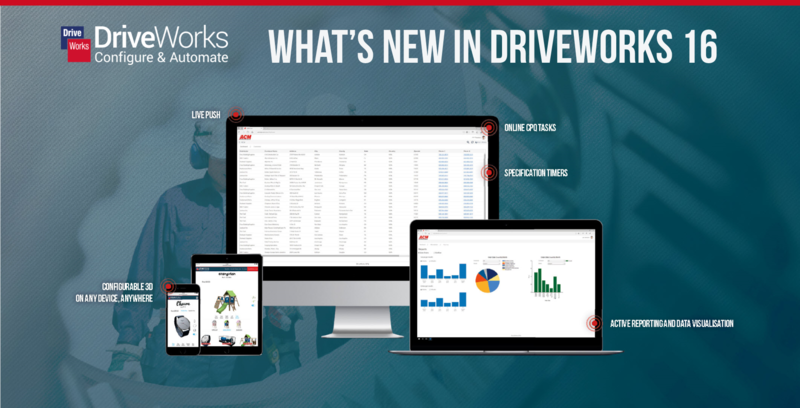 The DriveWorks Solo and DriveWorks Pro Help Files and Online Documentation have been updated to reflect DriveWorks 16 so you can continue to find answers and articles online, whenever you need them. We are very excited about DriveWorks 16. We hope you enjoy using it. DriveWorks Resellers and Customers with an Active Subscription Support Contract can download DriveWorks 16 from the DriveWorks Community. A DriveWorks Community Account, you can create an account if you don’t have one or reset your password if you’ve forgotten it. Pre-Requisites can be found in our Online Documentation. DriveWorks 16 License Codes have been provided* so you can test in a sandbox before upgrading your production environment to the new release. We have tested the updates rigorously across Windows Operating Systems and latest versions of SOLIDWORKS to test compatibility. If you are working in a multi-user environment make sure you upgrade all of the DriveWorks Modules e.g. DriveWorks Administrator, Autopilot, any DriveWorks User licenses, DriveWorks Live and DriveWorks Pro Server. Make sure you have your DriveWorks 16 license keys to hand. We issue new license codes for each new major release so you can test out the new functionality before you use it in production. New DriveWorks 16 licence codes have been sent to DriveWorks Resellers for all companies with an active subscription support contract. If you haven’t received your codes yet please check with your reseller.